Definition at line 31 of file CQReferenceDM.h. Definition at line 25 of file CQReferenceDM.cpp. Definition at line 36 of file CQReferenceDM.cpp. Definition at line 41 of file CQReferenceDM.cpp. References COL_DESCRIPTION, COL_ID_REFERENCE, COL_RESOURCE_REFERENCE, COL_ROW_NUMBER, FROM_UTF8, CMIRIAMInfo::getReferences(), CQBaseDataModel::isDefaultRow(), mpMIRIAMInfo, and rowCount(). Definition at line 79 of file CQReferenceDM.cpp. References COL_DESCRIPTION, COL_ID_REFERENCE, COL_RESOURCE_REFERENCE, and COL_ROW_NUMBER. Definition at line 139 of file CQReferenceDM.cpp. References ListViews::ADD, CMIRIAMInfo::createReference(), ListViews::MIRIAM, mpMIRIAMInfo, and CQBaseDataModel::notifyGUI(). Definition at line 172 of file CQReferenceDM.cpp. 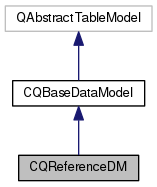 References C_INVALID_INDEX, COL_ID_REFERENCE, COL_RESOURCE_REFERENCE, data(), CMIRIAMInfo::getReferences(), CQBaseDataModel::isDefaultRow(), mpMIRIAMInfo, CQMessageBox::question(), and CQBaseDataModel::removeRow(). 178 //before actually deleting any item. Definition at line 154 of file CQReferenceDM.cpp. References ListViews::DELETE, ListViews::MIRIAM, mpMIRIAMInfo, CQBaseDataModel::notifyGUI(), and CMIRIAMInfo::removeReference(). Definition at line 32 of file CQReferenceDM.cpp. References CMIRIAMInfo::getReferences(), mpMIRIAMInfo, and CCopasiVector< T >::size(). Definition at line 105 of file CQReferenceDM.cpp. 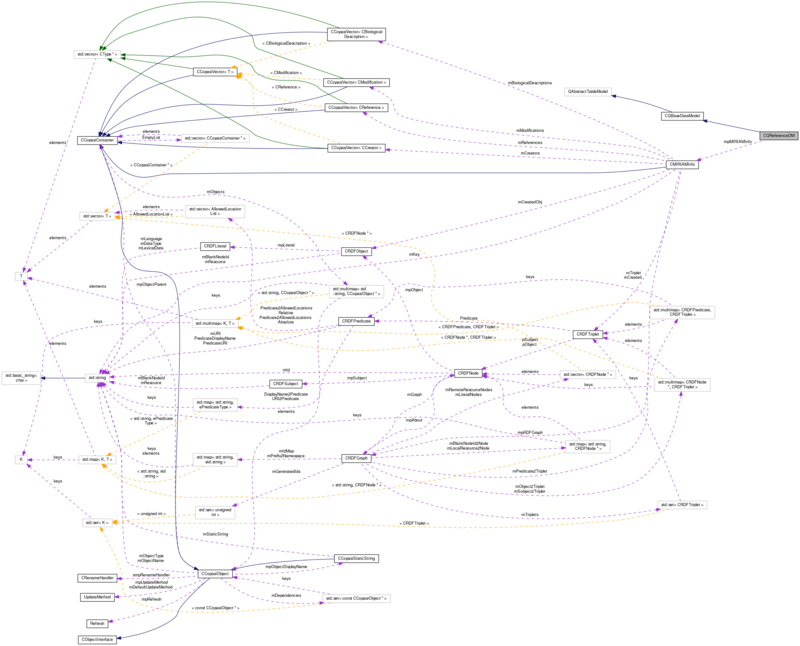 References ListViews::CHANGE, COL_DESCRIPTION, COL_ID_REFERENCE, COL_RESOURCE_REFERENCE, CMIRIAMInfo::getReferences(), CQBaseDataModel::insertRow(), CQBaseDataModel::isDefaultRow(), ListViews::MIRIAM, mpMIRIAMInfo, CQBaseDataModel::notifyGUI(), and TO_UTF8. Definition at line 49 of file CQReferenceDM.h. Referenced by CQReferenceDM(), data(), insertRows(), removeRows(), rowCount(), and setData().